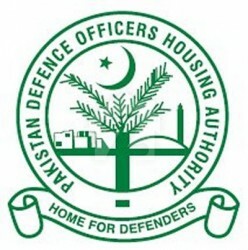 DHA Karachi now offers DHA Oasis farmhouses Phase-II in DHA City. Register Now to Apply for farmhouses. The farmhouses are being built on 2,000, 2,500 and 3,000 square yard plots with beautiful Spanish architectural designs. 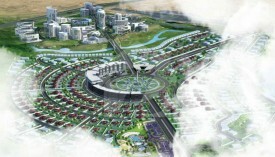 The beautifully designed farmhouses in DHA City will be luxury living units. The farmhouses comprise of 3 to 4 bedrooms with affix bathrooms, a spacious kitchen, a stylish living room to enjoy family chats, a comfortable drawing room, alongside a servant/guard quarter and a wide porch. In the lawn area, there is a beautiful swimming pool reflecting enchanting scene in its clear water and the spacious barbeque area providing a perfect recreational and entertaining living experience. The engrossing scenery, the lush green panorama, the passive water vista, the humming of the fowls all appear as an exclusive sight from the window of farmhouses. There are wide walkways where the occupants can walk and jog with their families. Upcoming cineplex, mini zoo and other entertainment around farmhouses will be a major attraction. The Farmhouses Phase-2 has been launched on 20th August this year. It's time to invest.